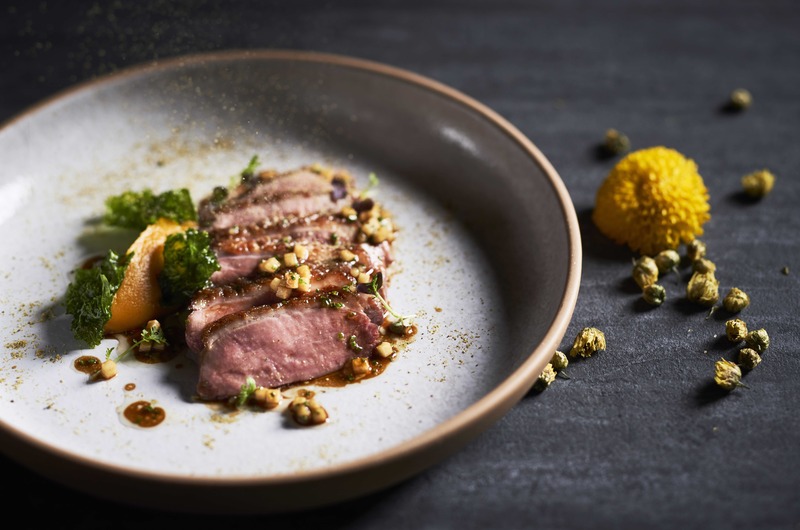 Now that this year’s Michelin Guide Singapore has been revealed, we’ve been keeping busy trying to snag reservations at some of the newly minted one-starred restaurants. Nouri, which recently launched a bar programme showcasing cross-cultural cocktails, is now on our radar as the next dining hotspot to try. And then there’s Sushi Kimura, which recently left us impressed with its exquisite omakase offerings and beautifully plated food. Evidently, we’re already planning a return trip to the latter. We’re also looking forward to our next meaty feast at Burnt Ends, a modern Australian establishment famed for its barbecued fare. But it isn’t just the Michelin-starred restaurants that caught our attention. Closing this month on a high note is a slew of new and tempting dishes from some of our favourite restaurants in town. From Yoshi Restaurant’s indulgent uni chirashi don to The Spot’s seared duck breast with chrysanthemum, and Kappo Shunsui’s soup with scallop and fishcake, here are our top picks. The dish: You really can’t go wrong with a chirashi don topped with the freshest fish — especially when there’s uni involved. 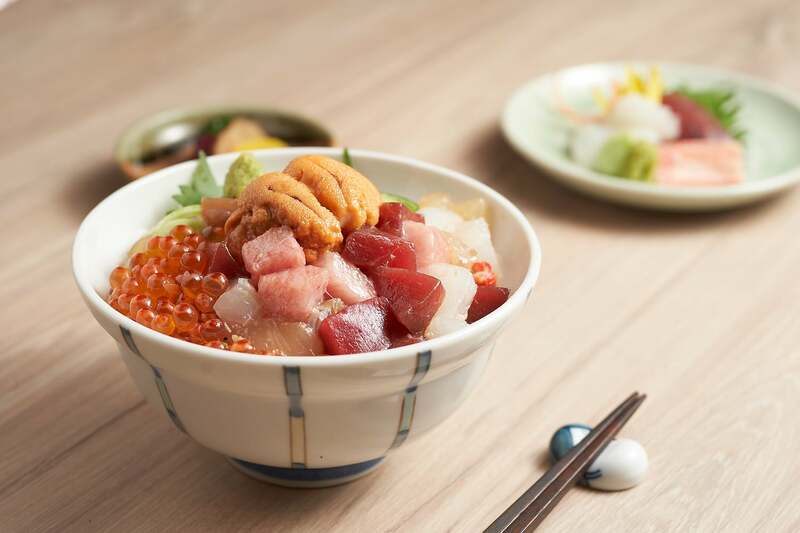 Part of Yoshi Restaurant’s newly launched uni-focused menu, the rice bowl is bedecked with a generous serving of ikura pearls, toro, maguro and flounder. The pièce de résistance? Undoubtedly the lobes of sweet, briny Bafun and Murasaki uni set atop the decadent mix. The place: Formerly known as Kaiseki Yoshiyuki, this kaiseki restaurant at Forum The Shopping Mall recently underwent a rebranding, and now has a revamped menu and interior. Its new repertoire includes three eight-course lunch and dinner menus centred on uni, wagyu beef and maguro respectively. 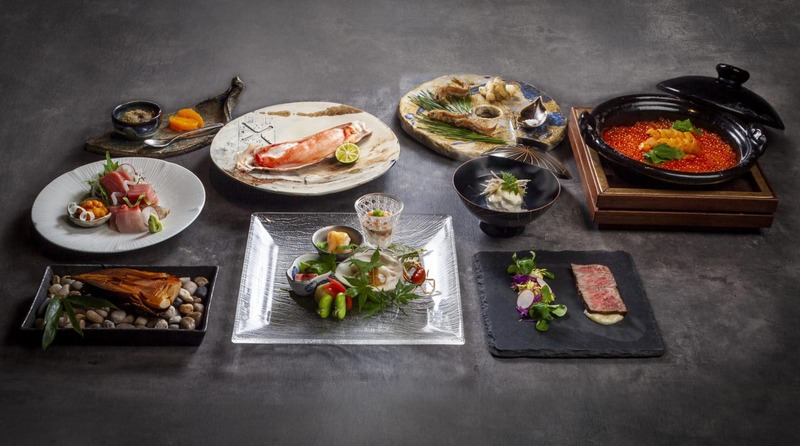 The uni-themed set features highlights such as Murasaki uni rolled up in slices of flounder and maguro, and grilled kinmedai with young ginger. Price: S$188++ for the uni menu. The place: The Spot is a multi-concept venue comprising a cafe, all-day dining restaurant, bar and cigar lounge. It also houses an 1855 The Bottle Shop outlet and Southeast Asia’s first dedicated Macallan retail boutique. The space’s restaurant focuses on contemporary European food paired with sauces incorporated with Southeast Asian ingredients such as buah long long and Java peppers. 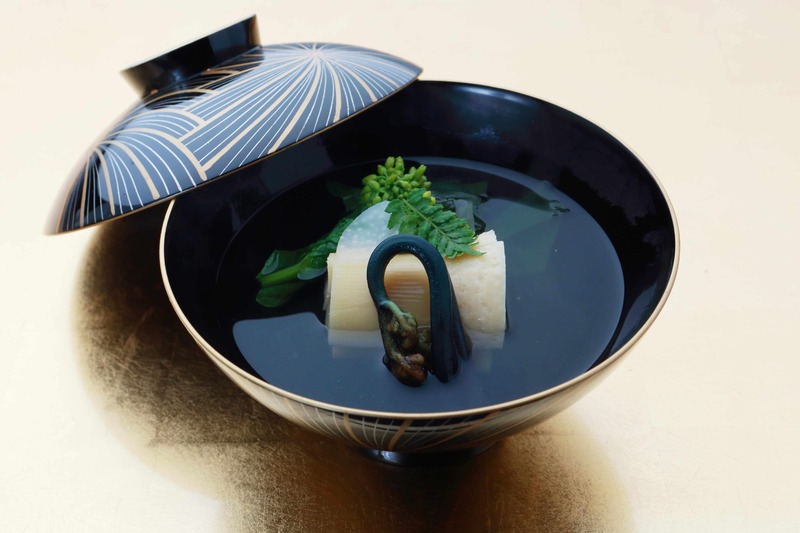 The dish: Don’t be fooled by how ordinary Kappo Shunsui‘s owan, or soup dish, looks at first glance. The clear dashi-based broth, made with dried kombu and bonito flakes, carries a delicate sweetness that’s gently perfumed with yuzu. It’s complemented with a homemade fish cake embedded with juicy scallop bits, and contrasted with a chunk of smokey, melt-in-the-mouth grilled eggplant. The dish also comes garnished with winter melon skin and shredded carrots. The owan is part of an omakase menu that’s dependant on seasonal produce, so the ingredients used in its fishcake are subject to change. The place: Located at Cuppage Plaza, Kappo Shunsui is a Japanese restaurant that specialises in Kappo-style cuisine, which showcases the cooking techniques of grilling, steaming, frying, simmering, and raw preparation. It recently brought in new executive chef Nishi Nobuhiro to helm its kitchen. The restaurant imports close to 99 percent of its ingredients from Japan, and currently offers eight- and nine-course omakase dinner menus. Price: S$150++ for an eight-course menu, S$250++ for a nine-course menu.